Are you feeling tired, overwhelmed and disconnected? Disconnected from yourself? Your children? Your partner? Mother Earth? ~Are you constantly seeking quick fix self-care trends to refill your cup that don’t seem to have any lasting effect? ~Not quite sure how to use the cycle mandalas in your planner? or want to dive deeper? ~ Do you want to know more about the magic of your cycles and how you can utilise them to increase success in all areas of your life (instead of hating them)? ~Do you feel like you are constantly chasing your tail? 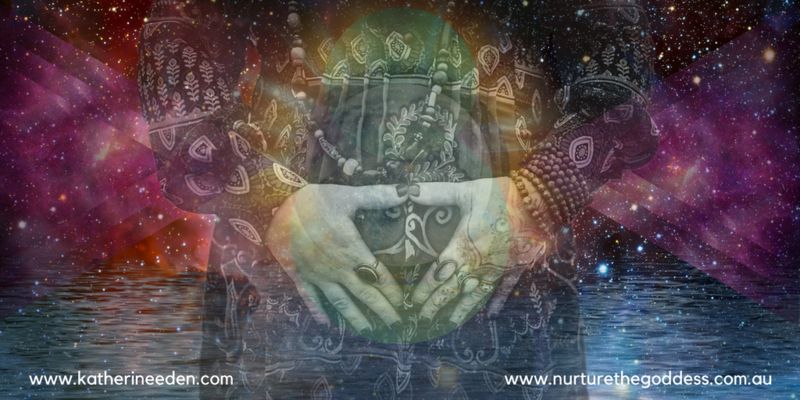 ~Are you looking for practical ways to embody ancient practices? ~Do you want to experience the magic of true feminine wisdom? ~Have you always felt like ‘something’ is missing in your life but you haven’t been able to unearth exactly what that is? information that is your birth rite? What if we told you there was a glorious coven of magical sisters waiting to link arms with you to go on the journey of a lifetime? 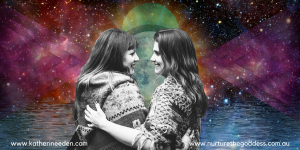 A circle of heart radiating, light sourcing, womb anchored sisters just like you – ready to alchemise their unique, inner magic to effect positive change through healing themselves and Mamma Earth. 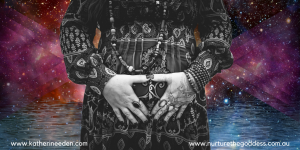 What if you could relearn and integrate the wise woman wisdom of the Goddess cultures and awaken the knowledge that is your birth rite and the foundation to living a life in true flow? Rhythm and Flow is a 40 day online circle to dance amongst sisters with Grandmother moon, remembering and reclaiming our wise woman wisdom. 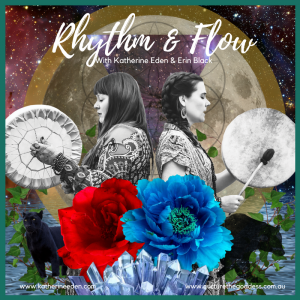 Rhythm and Flow reconnects women with the wisdom of Mamma Earth and their womb; the true essence of their being. It teaches women how to harness the potent energies of the cyclic nature of all things to create a life of ease and connection. Connection to self, others and Mother Earth. As a powerfully symbiotic collective we will journey for 40 days, the number of spiritual transformation, through the foundations needed for a life in flow. Then we will integrate an awareness and understanding of how to harness and utilize our own natural cyclical energy to truly transform all aspects of our life on a spiritual, physical and emotional level. When we are able to reconnect with our inner and outer cycles, understand their interconnection and respect their rhythms, we are able to dance through the ebbs and flows of our life with fluidity and reclaim our power. This journey is a remembering of what is already within you. It is that missing piece of the puzzle that you could never quite put your finger on. This is an honouring of our ancestors knowledge. A rekindling of the wise woman wisdom. We can’t wait until our energies collide in the most magnificent of ways as we flow together through the magic of the divine feminine! Are you ready to dive deep and unlock your magic? Your peaceful yet playful, potent, passionate magic!? We move through cycles in every aspect of our life. The cycles of the Sun, the Moon, Mamma Earth’s seasons, our menstrual cycle and the life cycles of ourselves, all vegetation and our animal friends. We are all interconnected. The study of cycles is called PHENOLOGY. It focuses on how plant and animal life-cycle events are influenced by seasonal and interannual variations in climate and habitat. The study of cycles is a very important science that is vital to survival ON Earth and the survival OF Mamma Earth herself. Unfortunately, the awareness and understanding of our cyclic nature as humans has been forgotten over time. It is time to relearn, remember and reconnect to this way of living. Get ready to rewild and flow! 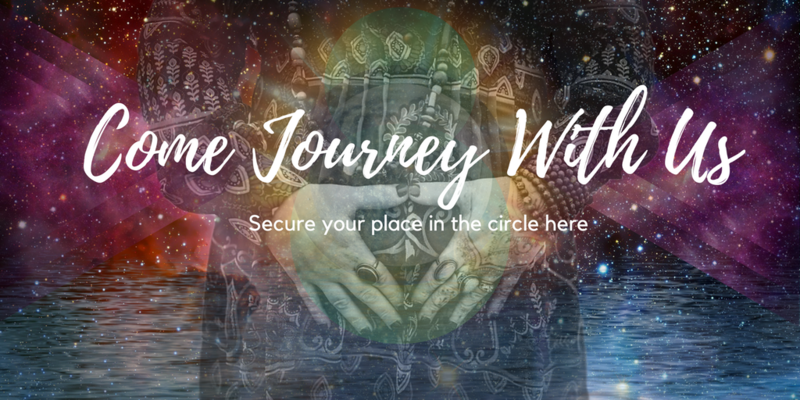 You’ll walk away with a peaceful arsenal of knowledge, wisdom, tips, tools, rituals and tricks to bring more connection, balance, rhythm and flow into all aspects of your life. You will feel a deeper connection to yourself, your fellow humans and your environment. You’ll discover how to work with the magic of your womb and maybe even look forward to getting your period. ♥ We look forward to our monthly MoonTime! We know it is our souls path to share these learnings with you. We know… this crazy low price will ONLY be available for this round. Once this round is complete it WILL be going up. We trust you’ll know if you feel called to join. 40 holds great spiritual significance in the realm of transformation. According to numerology, under the vibration of the number 40 we are ready to build our higher consciousness; one that is developed on all levels of being. The number 40 holds great significance amongst all major religions and according to the Kabbalah, the ancient Jewish mystical text, it takes 40 days to ingrain any new way of being into our system. In 40 days you can shift into a whole new way of living and of being. 40 symbolises the death of oneself and spiritual rebirth. Lasting change requires repetitive action. It is up to you how deep or shallow you wish to dive, but we feel that 2-3 hours per week (divided up as you see fit) would be ideal. 5 hours even better! But we understand that life in our current world is ‘busy’. As with most things in life, the further you commit and participate the more integrated the knowledge will become. The beauty of this course is that you will have lifetime access so can come back as you see fit to reopen and re explore the magic. Do I need to be menstruating to take this course? No, absolutely not! There are a multitude of reasons that you may not have a menstrual cycle. You may be pregnant or breastfeeding, you may be on hormonal birth control that inhibits your natural cycle, or you may no longer have a physical womb. Even if you aren’t currently bleeding you still experience the energy of your ‘womb space’, and experience and are led by your internal and external seasons and cycles. This course is for you if consider yourself open to deepening your knowledge and spirituality. It is for you if you are looking to connect more deeply to your body, your fellow humans and Mamma Earth and to anchor yourself in a foundation of self nourishment. Absolutely not! The only prerequisite is that you are a glorious human being who feels the call to deepen their knowledge and connection, and to spread the sweet love, compassion, care and connection. We truly believe in the magic of this course and its ability to initiate positive life changing results. We are eternal students and practice what we preach. We continue to walk the path of unlearning lifetimes of oppression and integrating this earth-magic wise-woman-wisdom on a daily basis. This is our soul work and we feel that not sharing it would be a huge disservice. As we personally know the transformative potential of this knowledge we are sharing – we offer a FULL NO QUESTIONS ASKED REFUND (MINUS FEES) if you are not aligning within 7 days of starting the course. You will know within that time if this is for you. If it is not, simply let us know and we will issue a full refund. 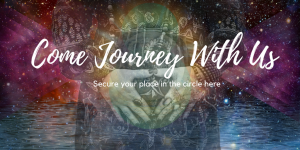 We are committed to creating a safe, dedicated circle of women to journey alongside, and alignment and commitment are essential to maintaining a safe, sacred space for our sisters in the group.